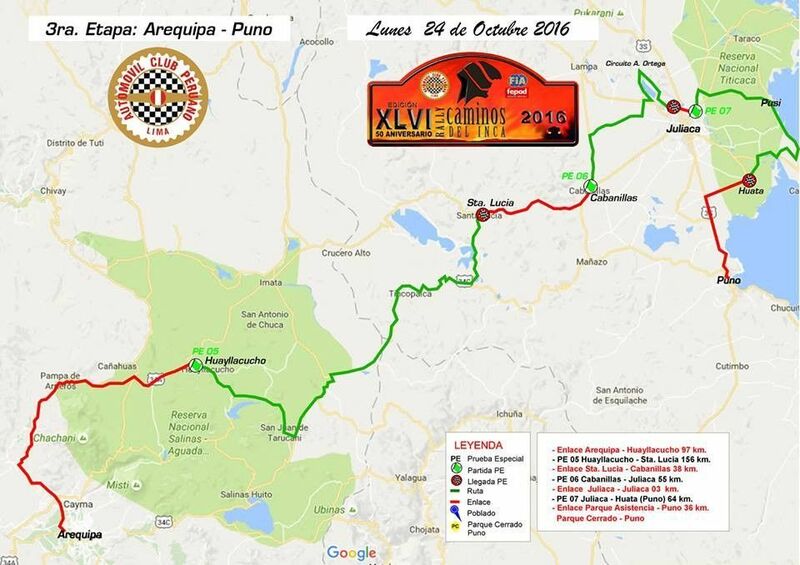 Caminos del Inca Rally is the country’s most famous motorsport event taking place entirely in Peru. 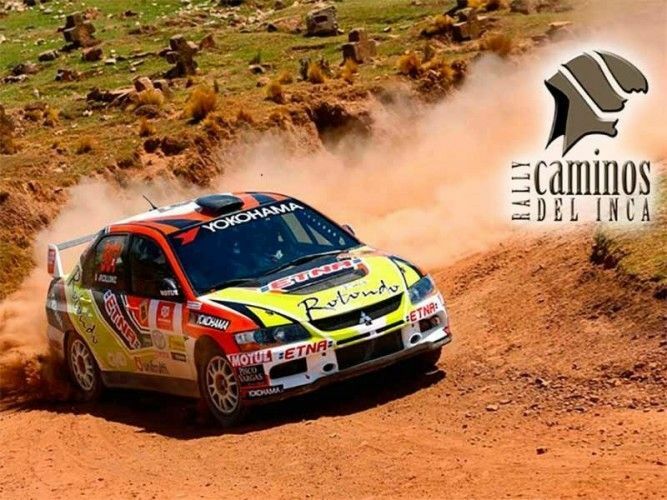 From open and testing desert terrain to steep and winding high mountain roads the racing teams this year have to conquer over 3500 km / 2200 miles in 10 days on dirt, gravel and asphalt surfaces with their modified but still road-legal cars. 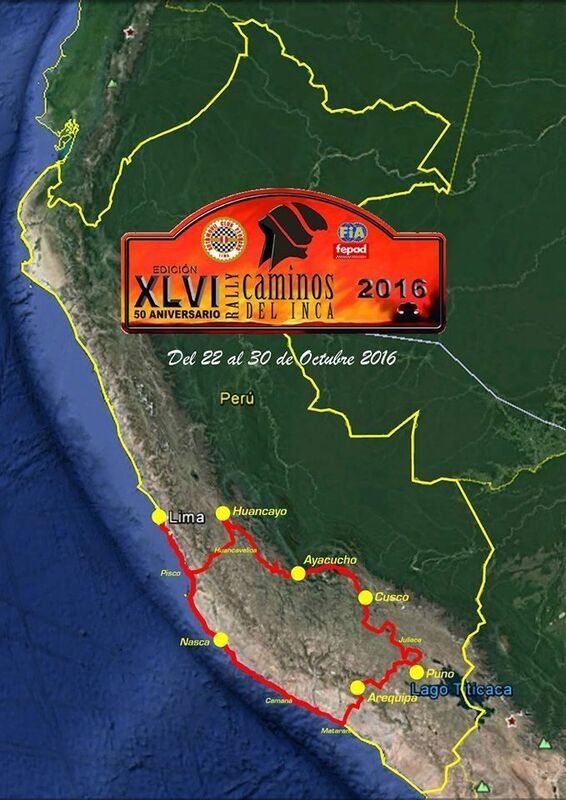 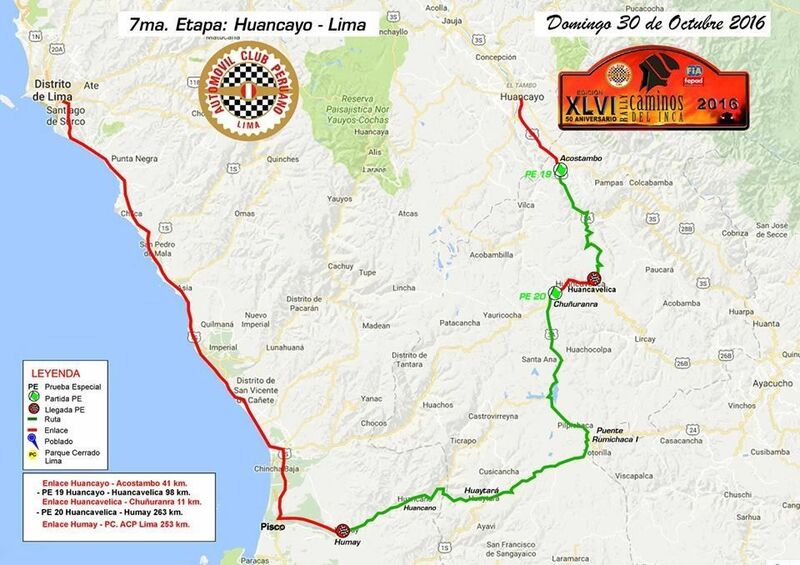 The Caminos del Inca Rally 2016 takes place between the 22nd and 30th of October and leads the drivers through some breathtaking scenery of the regions of Lima, Ica, Arequipa, Puno, Cusco, Apurímac, Ayacucho, Huancavelica and Junín taking the drivers with their co-driver to altitudes of over 4500 m / 15.000 ft.
As in the years before the Caminos del Inca Rally 2016 as well is a stage rally where the actual competition takes place in timed "special stages” (on the maps below named PE and marked in green); on the untimed "transport stages" (route marked in red on the maps below) the cars must be driven under their own power to the next competitive stage within a generous time limit. 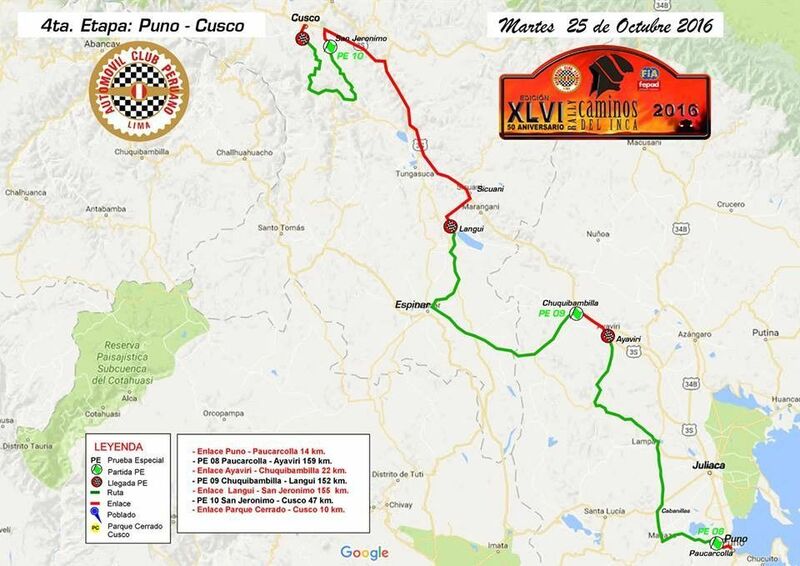 To celebrate the 50th anniversary of the Caminos del Inca Rally the Peruvian Automobile Association (ACP), organizer of the event, added 2 more stages to the usual 5 main stages making this extremely challenging rally even more demanding and interesting for the teams and spectators. 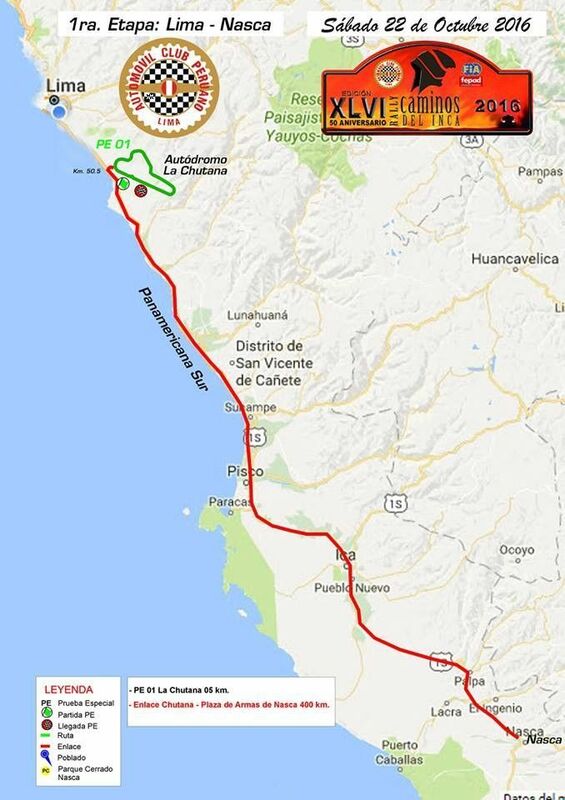 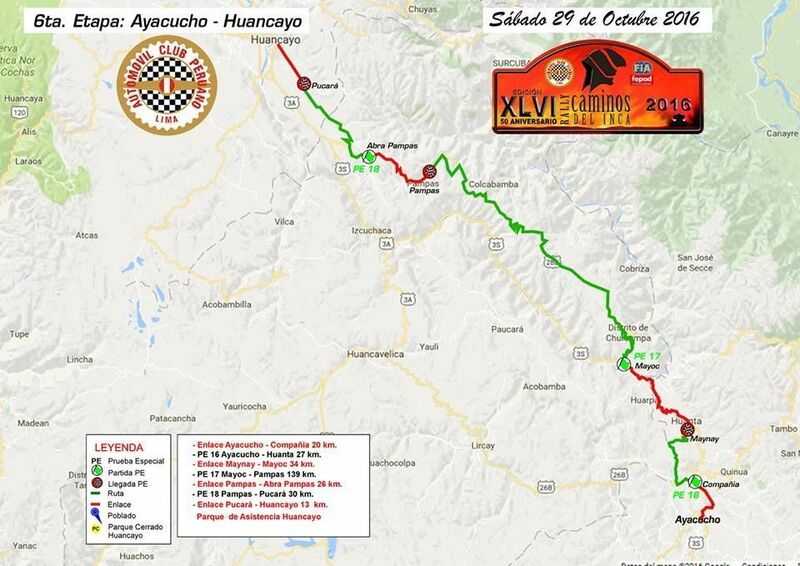 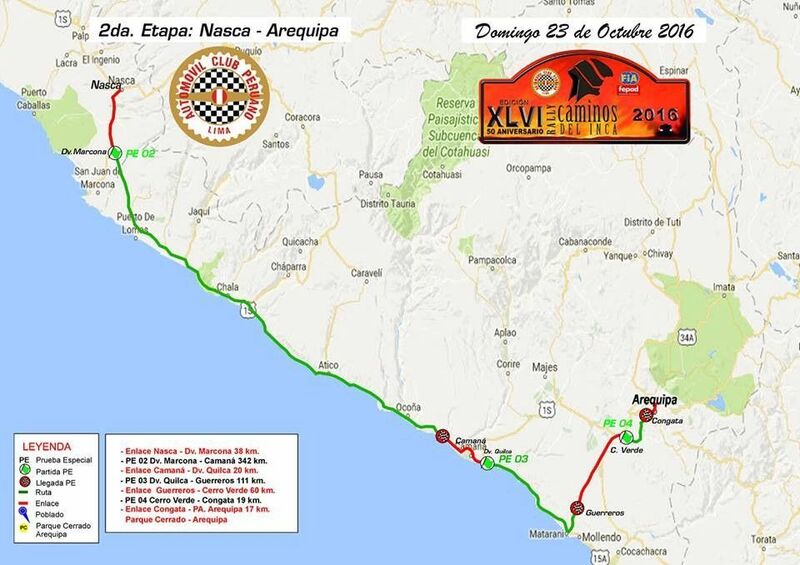 22nd of October, 1st stage: The competition starts with a special stage at the La Chutana race track south of Lima. 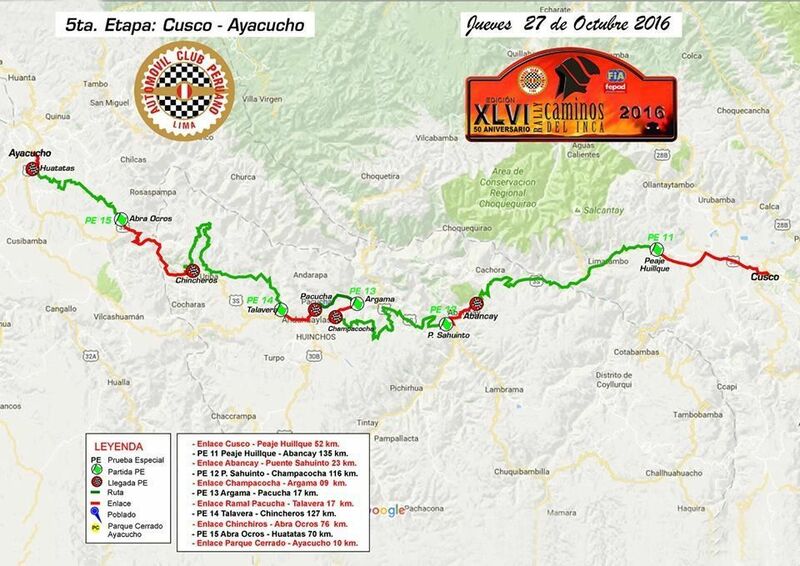 Afterwards the drivers are on their way to Nasca.